A great pair of jeans is a solid purchase, but finding the perfect pair can feel intimidating. To find the ones that work for you, try a few styles, and see which ones fit your personality the best. 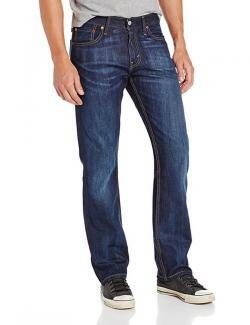 Given the basic cowboy history of jeans, it is amazing how many styles are available today. Jeans may have started out as a utility item, but today's styles are all about the look. This jean style isn't everyone's favorite, but they easily are able to go from a casual to a dressy look with a quick top change. They fit very tightly around the rear and thigh area and are tapered all the way down. Often they come in stretch denim to help them cling even more. You can wear them with boots, heels, flip-flops, and sneakers. 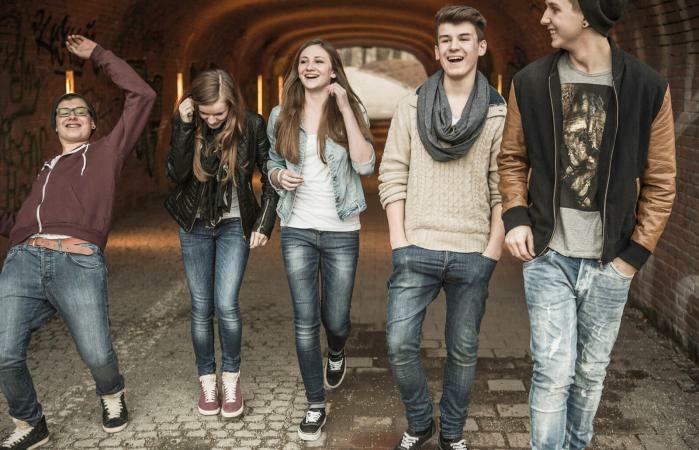 Both teen guys and gals can pull off this style. Jeggings are the marriage of skinny jeans and leggings. They often don't have a zipper or buttons, although sometimes non-functional buttons are added to make them look like real jeans. This particular style is super-clingy like leggings. To get them this tight, they're often made from a material that looks like denim but isn't true denim. Many people wear them with boots, but they also look great with heels, sneakers, or sandals. These are mainly marketed for women, but guys can also pull these off if they're bold with their fashion choices. Just like the name says, these jeans are cut to fit over a boot, flaring out slightly at the bottom. While at one time they may have been meant for wearing over cowboy or work boots, these days, teens often pair them with shorter boots. You can also wear boot cut jeans with heels, sandals, clogs, or mules. This is a great relaxed, unisex style. Both boot cut jeans and bell bottom jeans are categorized as flare jeans, but bell bottoms flare out even more dramatically than their boot-cut counterparts. Initially popular in the 1960s and 1970s, this style is making a comeback and pairs well with dressier tops or vintage tees. Although mostly marketed for teen gals, guys can also pull off this style especially if they're into a 70s look. In lieu of a zipper and a single button closure, button flies have several buttons that close the jeans up. This style of closure can be seen on skinny jeans, high waisted jeans, relaxed straight leg fits, and bell bottoms. This style of closure is unisex. High waisted jeans accentuate the waist and can be found on flared fits, jeggings, straight leg fits, and skinny jeans. This style sits higher on the waist giving the jean a more dramatic look. High waisted jeans pair well with boots, heels, sneakers, and flats. Distressed jeans are not a classic style but tend to go in and out of season frequently. Distressed jeans may include a pair with minor rips and tears, as well as large holes, and two-tone washes. This style tends to default to a more casual look and is great to wear when the weather is warmer. Both men and women can pull off this style. Whiskering gives a more worn, used look to jeans. It can range from mild whiskering high on the thigh to whiskering throughout the leg. Whiskering is a unisex style and gives a more casual look to jeans. Straight leg jeans are more relaxed than skinny jeans and create a straight line from your hip to your ankle. They can be dressed up or down and may have a low, medium, or high waist. This fit is unisex and comes in a variety of washes. The style isn't the only thing to consider when choosing a pair of jeans. Each brand seems to make the fit a bit different. With some patience, you can find the perfect pair for you. The best way to find a great pair of jeans is to try them on. You can order a few styles and sizes online, or head to the mall. Check for a comfortable fit in the waist. Usually, if you can place a hand in the area between the stomach and the jeans and still leave breathing room, they're a good fit. They should also fit comfortably in the legs and rear without any of the material bunching up. Jeans are sold in three different lengths: short, average, and long. A good pair of jeans should cover the top part of a shoe but not drag on the floor. The heel height of shoes can make a difference. Denim tends to shrink slightly in the wash and stretch with wear, so a brand new pair could feel different after you've owned it for a while. If they fit perfectly right now, it's a good idea to line dry them instead of sticking them in the dryer. Because so many styles are unisex, it is pretty easy to find a good pair of jeans for guys. Most retail stores that sell jeans for women will also carry sizes and styles for men. Check out some styles online beforehand and order a few options to try on. You can also head to the mall to see which styles look the best on you. American Eagle Outfitters offers a relaxed clothing style. They carry jeans as well as an assortment of tops and accessories for both girls and guys. Gap carries a wide variety of stylish jeans, along with other clothing for both guys and girls. Hot Topic offers casual jean options as well as tops for both guys and girls. Old Navy has a variety of teen clothing for both guys and girls. Here you'll find jeans, sweaters, t-shirts, and shoes. Target carries some great jeans styles without the brand names for a much more reasonable price. Wal-Mart also carries jeans at a fraction of the department store prices. There are plenty of jean options to choose from in a range of affordable prices. Shopping for jeans can seem overwhelming at first, but if you keep at it, try a few different styles and brands, you're sure to find a pair you really love.